Sneaky Kraven Sweets has candied all of the apples in the orchard. 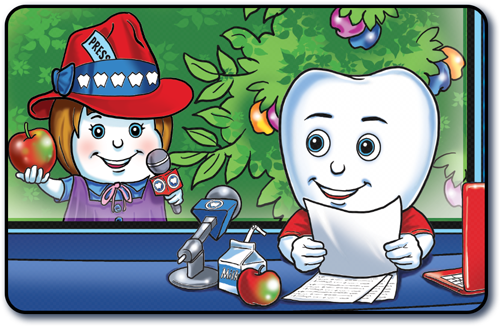 Luckily, the Tooth Heroes Dent Strong, TB Bristle and Flurry Dentifrice were able to clean up the mess. 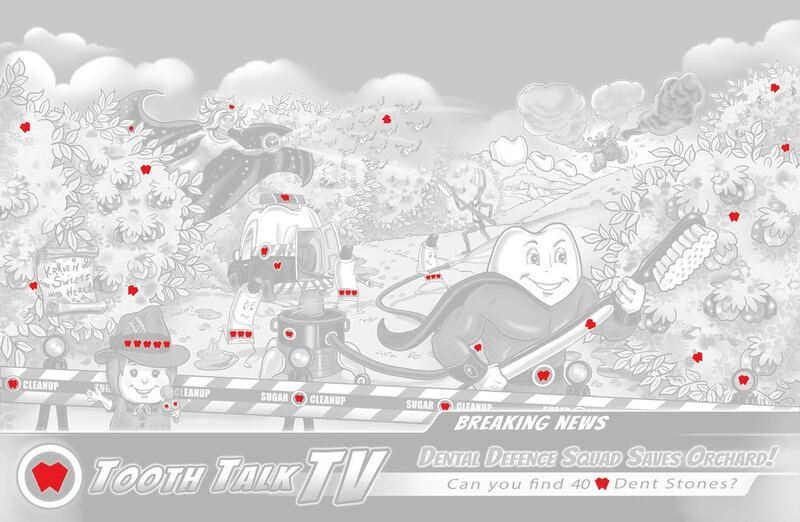 Were you able to find all of the Dent Stones?